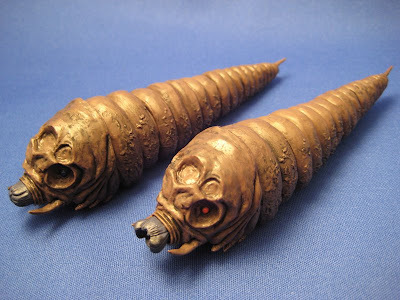 I was really hoping to get the regular Godzilla 2003, but when I opened the box I found two Mothra larvae. I was rather surprised to find two. After looking at the back of the box again I discovered that one is male and the other is female. The male Mothra has red eyes and the female Mothra has blue eyes. 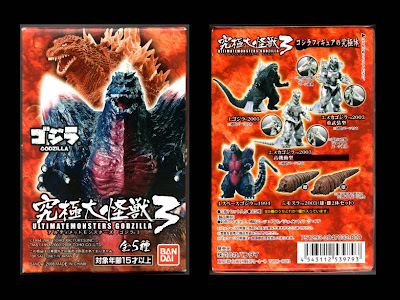 Also, the Mothra “man” has a slightly movable three segment body, while the female is solid. Blah blah blah... okay as you can see in the photo they look pretty disgusting, not something I will be displaying anywhere soon.